Oakmore Highlands seems to be the name the developer chose when he developed that hill in the early C20. 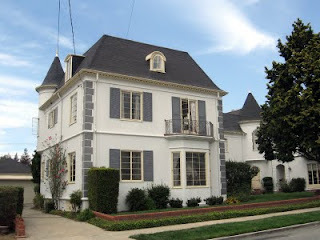 The developer, Walter Leimert, developed several of neighborhoods around here and down around LA as well, I believe. He's honored here with Leimert Blvd and the wonderful Leimert Bridge that soars over Sausal Creek (I posted a picture of it in this post in April. Also, I think several of the Oakmore neighborhoods (including maybe this one?) still have active HOAs that date back to the original developments in the 1920s, which reinforces the otherwise-obscure neighborhood names to some degree. 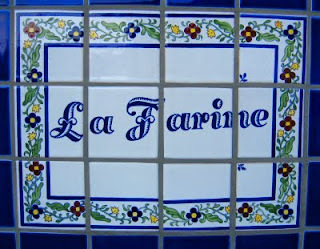 In other exciting news, Oakland is about to get its third La Farine on Piedmont Avenue (though sadly it won't help you out!) 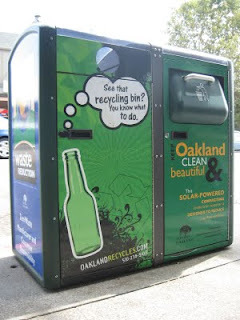 So you never know---maybe Montclair Village is next! We are in love with La Farine's Morning Buns and often stand in agony trying to decide between the sweet or the savory. And the baristas at that Peet's making the best foam in the East Bay, hands down. Hey Gene, you were over in my neck of the woods. I think the woman was probably thinking about Loard's. I get people who stop and ask me all the time where it is. They have pulled off the interstate ramp. Farmer Joe's also sells their ice cream. 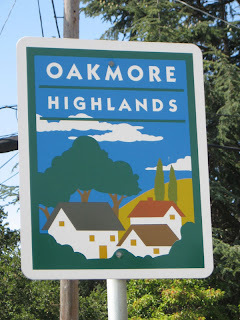 "Oakmore Highlands" fits the pattern in Oakland in which all neighborhoods with "Heights" or "Highlands" in their names consist of bedrock rather than the firm alluvium of lower sites. It sits between Crocker Highlands and Lincoln Highlands, after all. There's some France in Berkeley, too - http://localecologist.blogspot.com/2007/06/gastronome-restaurant-mirabelle-et.html. @andrew - Interesting. Seems like the highlands (i.e., bedrock) would be more stable in an earthquake, too. Is that the case? @georgia - I remember some of those -- I used to live on Virginia, so Poulet was a frequent sight when I went down to Shattuck. The question for monte is not: how much France is there in Oakland (or Berkeley), but how Oakland is there in your part of France?